The electronics in the dual 7 amp H-Bridge card work with the logic in a Baseboard FPGA card to form either a dual DC motor controller or a bipolar stepper motor controller. The schematic and layout of the D7HB are shown below. 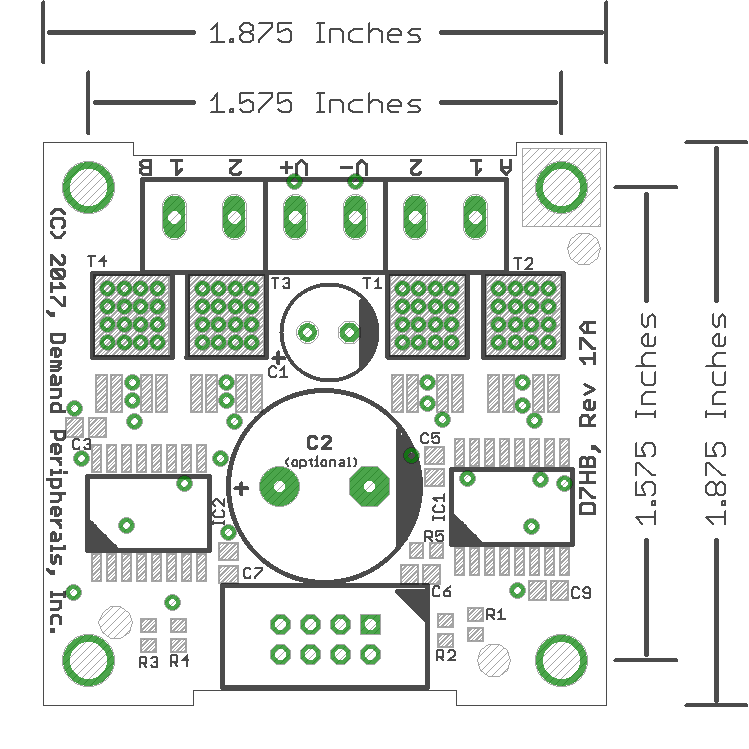 The Eagle schematic and board files are available here: d7hb.sch and d7hb.brd. The bill-of-materials is available here: d7hb.txt. When used with the "dc2" peripheral this interface card can provide direction, PWM speed control, and both brake and coast for two motors. The card uses four pins from the FPGA, two pins for each motor. The outputs are labeled 1 and 2 on the card. The table below shows the translation of the inputs input pin values to modes. 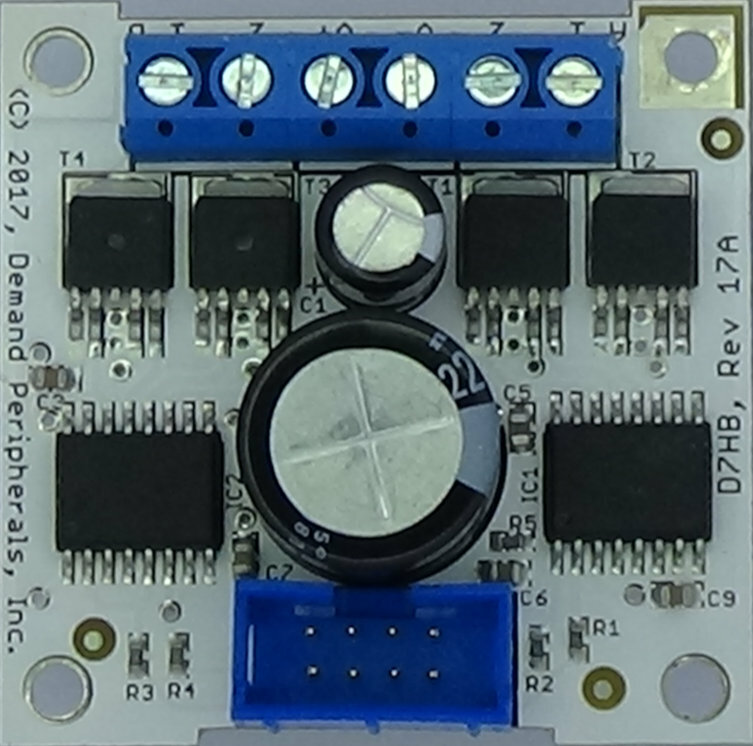 When used with the polar stepper controller peripheral ("bstep") this interface card can provide direction, step rate, step count, and holding current for a bipolar stepper motor with a current rating of up to 7 amps and a voltage rating of up to 18 volts.